Night clubs in Sin City are incomparable to any other clubs in the world! Las Vegas clubs just keeping getting hotter and hotter. 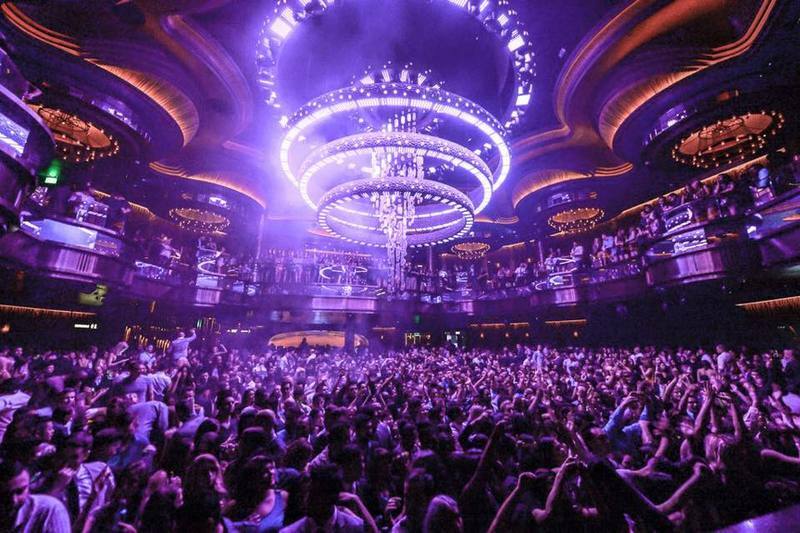 Thanks to the action of Hakkasan Group what used to be Pure nightclub has been transformed into a 75,000-square-foot, multilevel palace called “Omnia. The void left by Pure’s closing has finally been filled and Omnia is proof that no good space can stay empty for long. This is the newest hottest club in vegas and there’s countless reasons why! Omnia is an interactive nightlife experience for the lovers of luxury and modern technology. Don’t miss the opportunity for the reduced and free entry guest list. The old Pure space was expanded and Omnia has been created by Hakkasan Group to rival Hakkasan nightclub at MGM. Omnia is unlike any other dance club in Vegas due to the fact that it consists of an ultra lounge, high-energy main club and balcony and a breathtaking outdoor terrace that shows off amazing views of the Las Vegas Strip. In addition to the luxurious decor, Omnia also showcases world renowned Dj’s such as Martin Garrix, Nervo, Krewella, and Calvin Harris. However, if EDM isn’t your favorite then there is no need to worry because the Heart of Omnia, a mini-nightclub within Omnia, has special DJs for whatever genre you want! No matter what your music preference is you will find it inside Omnia! When you’re looking for the newest, hottest and most in-the-now club in Vegas, Omnia is what everyone’s talking about. With a calendar full of electronic producers and the best mixologists in Vegas, Omnia is the place to be! Join us for reduced and Free entry! Check out our Events Calendar and see what’s happening at Omnia Nightclub Las Vegas and view the Dress Code!